After his wife Amber had given birth to three boys in three years, Seth Haines saw that she needed encouragement in the day-to-day drama and details of motherhood. Secretly collecting nearly 600 wise, honest and sometimes hilarious letters from other mothers across the world, Seth compiled these “mother letters” as a gift for her. 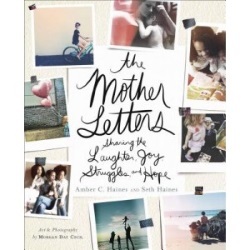 Amber and Seth have chosen the best of those letters—including letters from some of the most influential writers and bloggers online today—and collected them in a beautiful book perfect for the mother in your life. Click here to read more and see preview pages from The Mother Letters.This inspiring book releases April 19 and is available at Amazon, Christianbook.com, Barnes & Noble and other retail outlets.